Back pain? Neck pain? Feeling tired after too much sitting? What if sitting could be turned into beneficial activity without compromising the need of comfort? The average office worker spends approximately 10 hours sitting each day. Besides the severe health issues like back or neck pain, this excessive sitting causes muscle degeneration and heart disease. People need to move much more in order to minimize those risks. 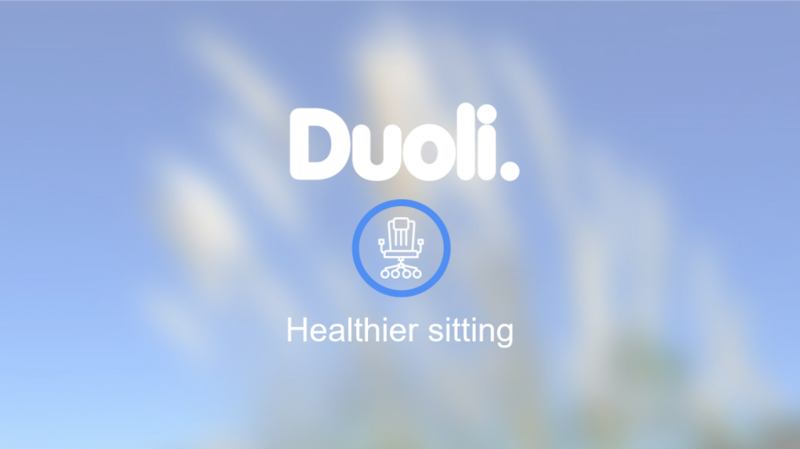 With Duoli, we want to promote healthier sitting. Nevertheless, we cannot deny the necessity to be poised and comfortably seated for special kind of tasks. In order to solve this tricky problem, we are working on a chair that could offer a cozy seat for tasks that require it, while inciting the customer to get a healthier attitude the remaining time. This chair is dedicated to all kinds of office worker including people such as doctors, mechanics and research scientists.